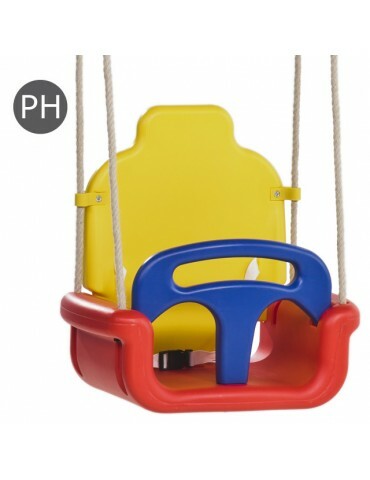 Residential play equipment swing attachment - This has to be the BEST Plastic Baby Swing on the Australian Market. This Baby Swing is a strong and sturdy baby seat, made from extrusion blow moulded HDPE plastic, and with soft to touch Poly Hemp Adjustable Ropes. This is not thin cheap plastic like other baby seats on the market; you will not be disappointed with the quality of our KBT, Baby Seat 'Growing Type' swing. Comes complete with care instructions, recommend age limits, weight limits and safety instructions. 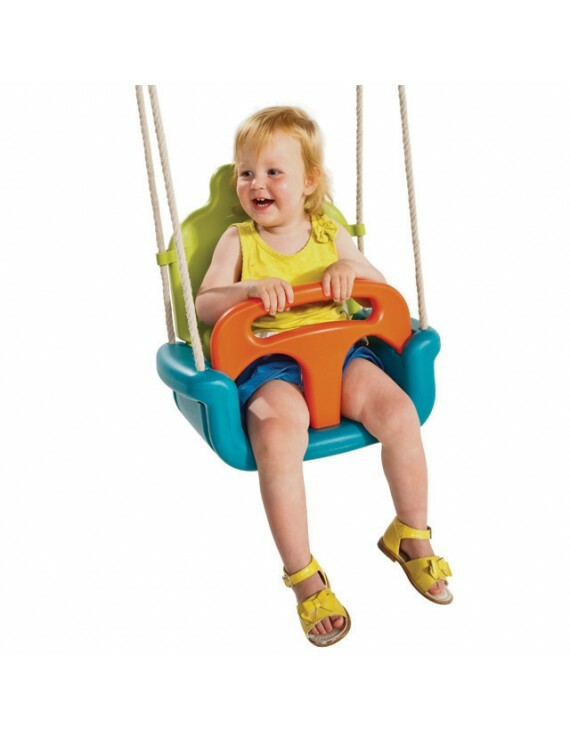 All KBT products are being tested and being approved according to the latest European Standards and Regulations, Compliant to Australian Standards for Residential Play Equipment. Dimensions: Ø 465mm high x 300mm wide x 456mm long. Extrusion blow moulded HDPE with safety strap composed out of three detachable plastic parts. 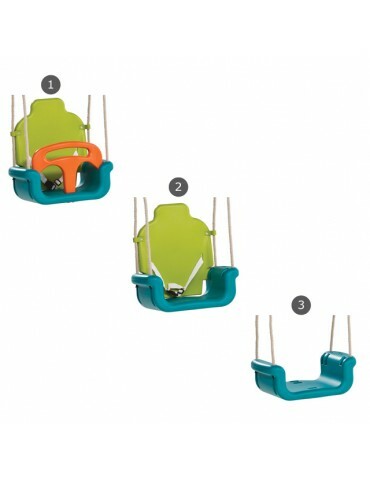 Grows along with the child from baby seat to swing chair to swing seat. 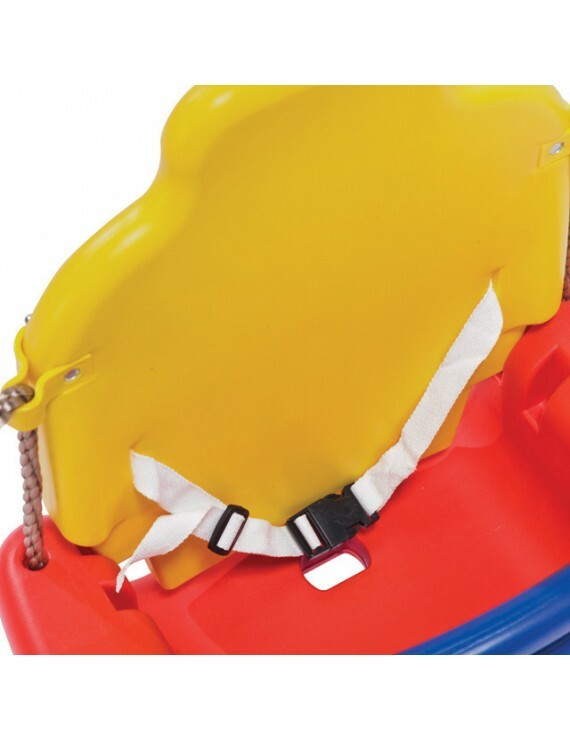 The back can be switched between two positions. Rings and eights in galvanised steel black PP welds on the ropes. 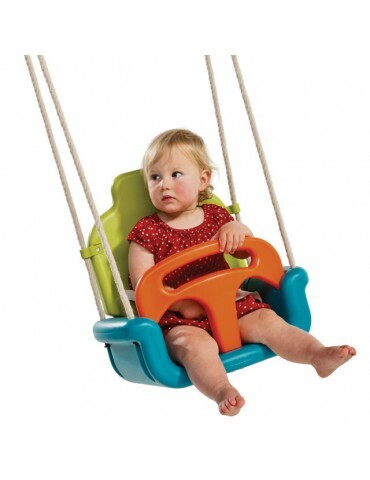 Age < 36 months (only when entirely assembled).